API: The Cloud Academy LMS API will enable organizations to display Cloud Academy progress data internally in their systems. Hands-on Labs: Users will soon be able to pause and resume a subset of our Hands-on Labs. SSO: We know you love our customer success manager. We do too. But, now, you can enable and configure SSO for your company under settings without going through Customer Success. Sometimes key people need to know, but don’t necessarily need to have read and write access. Individuals in the Stakeholder role can now view Assessment Cycles and Training Plan Cycles in read-only mode. All Enterprise accounts have been upgraded to the shiny new teams and members management experience. Some of you have gotten ahead of training accountability issues by implementing CPE (Continuing Professional Education) programs. Now you can track CPE credits across our entire Training Library. Read more here. Create GCP and Azure Labs in Content Engine. You can now create Labs from all the main Cloud Providers (AWS, Azure, GCP). Create Custom Skills for your content. Our Customer Success team can now customize skills for your organization. Reach out to your customer success manager for more information. Training Plan Leaderboard: We added a leaderboard to end user’s Training Plan dashboards to encourage some friendly competition. Released several improvements around new user onboarding and license management. Released a new UI update that enables easier editing when creating new questions. Additional updates to the Skill Profiles UI improve how skills growth is displayed when new team members are added or removed. New dashboard provides a better method for identifying organization strengths, skills gaps, and training opportunities. Updates to Assessments: We’ve extended the timer on Quizzes and Exams so users aren’t as rushed to provide their answers. Bug fixes and updates to Exams and Quizzes APIs. We began the rollout of a streamlined user management and deployment experience to all accounts. You’ll find a more powerful, re-designed Teams and Members page together with a seamless Team onboarding experience built to simplify the team assessment and training process. If you have any questions, reach out to your Customer Success Manager, read our FAQ, or watch the demo video. Training Plans: Admins and Team managers can now enable the platform to send Nudges automatically when users fall behind. This is enabled during the final Training Plan assignment stage after a weekly time commitment is selected, or in the Training Plan “Manage” section. When enabled, the platform sends Nudge emails automatically on your behalf to assignees who are significantly behind or inactive during a rolling 7-day period. No more than three automatic Nudges will be sent to an assignee over the course of a Training Plan Cycle. Automatic Nudges are never sent more than once per week. Updated Skill Profiles dashboard offers enhancements that enable organizations to measure skill growth, compare across the organization, and better identify existing skills gaps. 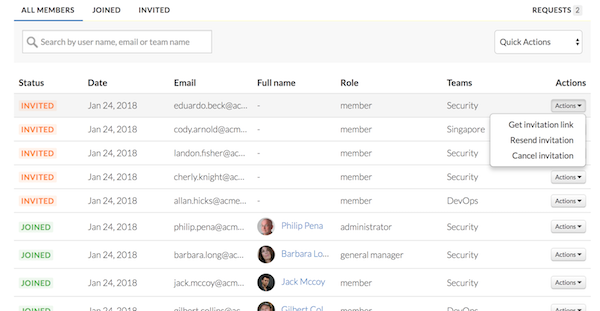 Admins and managers can segment across multiple teams, domains/job role, and tools. Up to 5 nodes can be compared at once, up from 3 previously. A chart that shows the learning curve over time, from the start of use to today. The dates can be customized as well. UI restyling for the end-user dashboard: we’ve updated the end-user dashboard UI to keep end-users focused on learning and give them an overview of their total learning. All Hands-on Labs now have validation. To get completion credit for the Hands-on Lab, you must validate your work at the conclusion of the exercise, otherwise, you will not get credit (this includes Learning Paths too). Completed Hands-on Labs affect Skill Profile scores. Assessments: Email notifications will now go out to users to remind them to take their assessment prior to starting their Training Plan. Notifications will be sent 2 and 6 days after the assessment is assigned. Content Engine: Custom Resources on-the-fly released, enabling administrators to upload files from Learning Paths. An email will now be sent to users who are still active on Training Plans about to expire. Hands-on Labs: 9 Hands-on Labs are now available with Assessment. Users are now evaluated based on their ability to successfully operate in the cloud. We optimized the header menu so users can easily navigate the website. We made some bug fixes to Content Engine to optimize for speed and usage. We made a change in Training Plans that will optimize how users are displayed. When users complete a Hands-on Lab, they can validate whether they have completed the Lab correctly. Labs Validation will eventually factor into Skill Profiles. In order to avoid mixing skills of different types into a long and heterogeneous list, Pre-Assessment list of Skills is now grouped by type ( platform domain, concept, etc.) with an accordion component. Skills Profile scores have been adjusted as a result of a recent Skill Profile (BETA) algorithm update. This is reflected in the Analytics, Activity Report, and Skill Profiles pages. Minor bug fixes to improve platform performance and stability. When user is logged in, the right part of the menu shows the user’s avatar as well as user/enterprise menus. Changed data filter options for Learning Activities Analytics, Activity Report, Skill Profiles pages. When a user leaves an up or down vote on a piece of learning curriculum, an email is sent to indicate that feedback has been received. Minor improvements on the Training Plan landing page and detail view. Learning Activities, Activity Reports, Skill Profiles have now been set on a 90-day time range by default. General Managers are no longer able to invite new members and change permission roles. Added the ability to select a due date option as a final step when assigning a Training Plan. Administrators can now request a new custom Training Plan by clicking on “Request a new one” from the Training Plan selection page and completing the form with their requirements. Released “Add to Calendar” feature on user’s dashboard, enabling users to schedule a time to train. Released “Bulk Nudge” feature on Training Plan Management Dashboard. If a user is exploring skills for which they have not yet taken an assessment for on their User Profile page, our platform will show them recommended content to get started. We made a change to how Learning Path completion is calculated in order to more accurately reflect your team’s progress. If individuals on your team complete a Learning Path Exam and skip the parts they already know, they will still receive completion credit. Added a “Switch to Cloud Academy Manager View” link on Dashboard page next to their name. 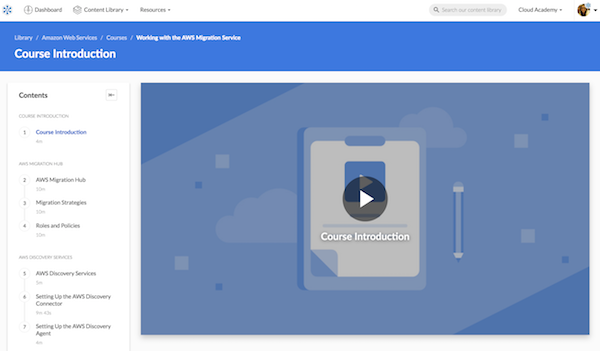 Learning Paths and Labs new look and feel: We released a complete User Interface overhaul of our Learning Paths and Labs products, aimed at improving the overall end-user experience on Cloud Academy. Enterprise Self-serve plan: Companies requesting from two to ten licenses are now able to directly purchase and activate an Enterprise plan from the Pricing page. If a Company needs to register more than ten members, a Contact us form will be displayed to get in touch with our sales team. We enabled the feature to mark Training Plan as completed. Sort by column on the Management dashboard. Enterprise Labs are accessible to all subscribers. The timer on Exam sessions has been made more reliable in order to resolve issues with desync/submit during long exam sessions. The Next button on Quizzes and Exams is now only enabled when the user’s response has been validated on the server side, avoiding multiple clicks and UX problems. Content that has been recently changed/updated will now display an “UPDATED” label. Content that has received a major version update recently will now display an “UPDATED” label on its card. New label for individual subscription plan from “Professional” to “Personal”. Button to reset the user’s Study Plan profiling: On the Account Settings page, we added a button (labeled “Update your study plan profile”) that resets previous answers for the Akinator and prompts you to a new Akinator session. On the Analytics page, we improved the users/teams filtering: You can directly filter by users or team simply by clicking on the user/team name on the Leaderboard. Your profile data is now downloadable from your profile settings in accordance with the implementation of recent GDPR regulations. Updated the individual plan label from “Professional” to “Personal”. CloudKarma and CloudRank removed: We removed CloudKarma and CloudRank functionalities as they were replaced by new Skill Profiles. When assigning a Training Plan to a single user, the Assign button is disabled if the user is already active on another Training Plan. When selecting a Team during the Training Plan assignment, users that already have an active Training Plan will be displayed. For these users, the Training Plan being created will not be assigned. Restart a video dedicated button overlay remains visible. In the modal to assign a Training Plan to a user, the Assign button is disabled if the user already has a Training Plan assigned, and in this case the modal shows the title of such Training Plan. The system no longer allows assigning a Training Plan to a user that already has a Training Plan assigned; in this case, the user will instead be added to the “Not Assigned” list. In the Training Plan cycle creation page, disable Teams that already have a Training Plan Assignment assigned. Library/Search APIs capitalization of KG node names. Analytics received a fresh coat of paint. Under the hood, sessions and time spent are more accurate and reporting is more granular. To see Analytics in your Enterprise account, visit https://cloudacademy.com/organizations/insights/?product=overall. Enterprise Reports can now be downloaded in CSV and XLS formats. The same improvements under the hood benefit the reports you download from Cloud Academy. To see Reports in your Enterprise account, visit https://cloudacademy.com/organizations/insight-reports/. Answering questions on Quizzes and Exams has improved. In both study mode and test mode, the next action is automatically loaded after three (3) seconds. Various minor bugs fixes behind the scenes. 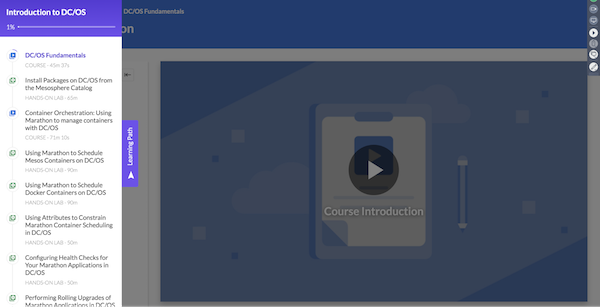 Improvements to the courses UI: we tweaked, iterated, and obsessed over the user interface of the video player and the user experience navigating video lectures. Enterprise Reports: these are now downloadable directly from the Cloud Academy platform. Previously, we emailed you when they were ready (and we agree, that was annoying). Versioning now works much better when Cloud Academy makes changes to Learning Paths. Retake quizzes and exams in a Learning Path: we have reintroduced the button to retake quizzes and exams within Learning Paths. Change due date on Training Plan Cycles: it is possible for Team Managers to change the due date of a Training Plan Cycle through the UI of the Training Plan Cycle’s detail page. Aggregate Training Plan Cycle Progress for Managers / Admins: Training Plan managers previously received as many emails as the number of Training Plans they’d manage. Now multiple Training Plan emails are collapsed into a single one, with at-a- glance information about the different Training Plans managed. Not adding team managers by default to Training Plans: Altering a Team’s structure (adding or removing Team Managers from a Team) now results in the expected behaviors of Training Plan not being assigned to the newly added Team Manager, so the Training Plan correctly stays assigned to the previously Team Manager. Learning Path description missing in Content Engine User interface. Fix Discard Changes behaviour for LabSteps. We added an expandable navigation bar to all pages within a Learning Path. From within any Course, Hands-on Lab, or Quiz in a Learning Path, users can click the purple ribbon on the left side of the screen and easily navigate without leaving the screen they’re on. We replaced the small, difficult to click Action buttons on the Management Dashboard with a larger, more easily clickable menu dropdown for Actions. Various bug-fixes and architectural improvements were released behind the scenes.